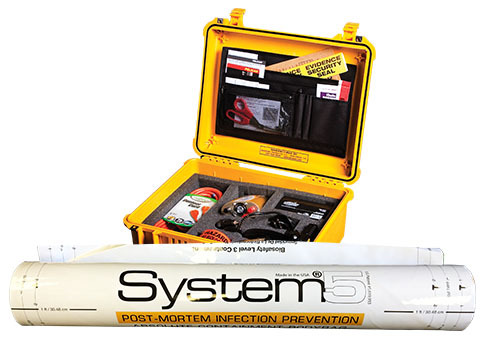 Configured for travel to any disaster or crime scene, the BioSeal Portable System is fully contained in a durable, lightweight carrying case providing for a variety of response scenarios, which is critical when body or evidence fragments are scattered. This fully–kitted, battery powered system includes everything you need to provide absolute containment in the field, protecting you, your evidence and your community. "Ultimately, our job is to protect all of our citizens, and that starts with the fatality management practitioners at the scene. A BioSeal Systems container isn't a fortified body bag; it is literally life–saving technology."